Ready for immediate occupancy! This 1,616-square-foot renovated, pre-war condominium is located on the ground floor, overlooking charming West 19th Street between 9th and 10th Avenues. 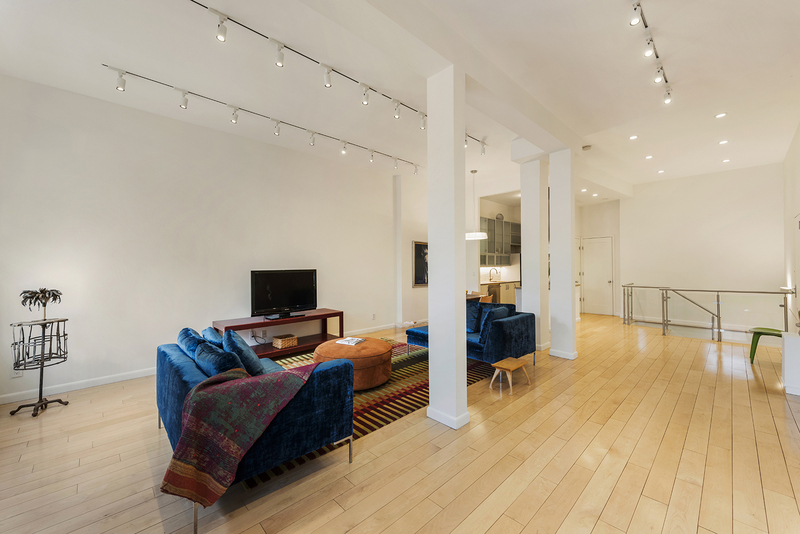 Apartment 1B is a massive 1-bedroom, 1.5-bathroom duplex with 11.5-foot ceilings, hardwood floors, oversized windows and incredible closet space. Perfect for entertaining, the renovated open kitchen features stainless steel appliances including a Jenn-Air stove/hood, custom wooden/glass cabinetry and stone countertops. Just off the kitchen is a sprawling living room with more than enough room to create an additional bedroom/home office. Other features of this grand room include an entire wall of outfitted closets and two oversized windows. 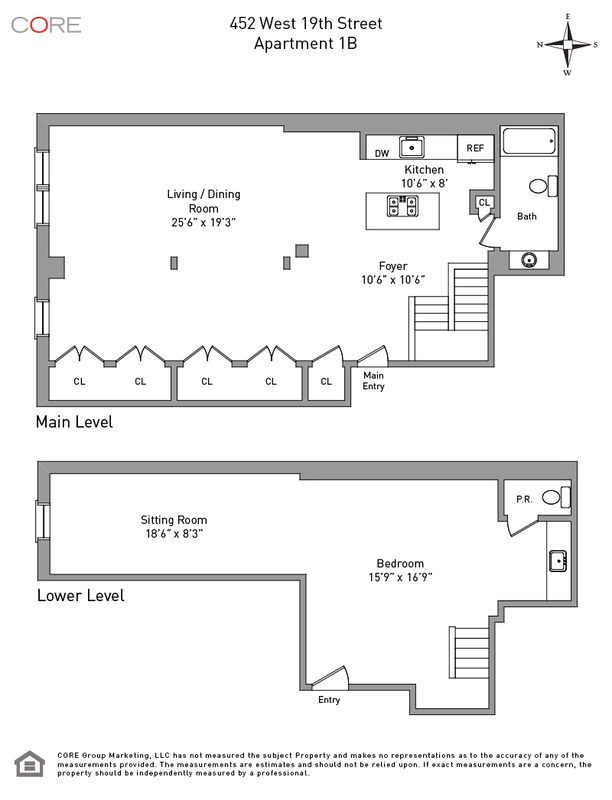 Also located on the first level is a renovated full bathroom with Kohler fixtures and heated towel rack. Truly an architectural gem, the steel and glass staircase leads down to the second level, another large multi-functional space with a powder room.